← Repurposing the OLPC Hand Cranks—Into Mobile Phone Chargers! 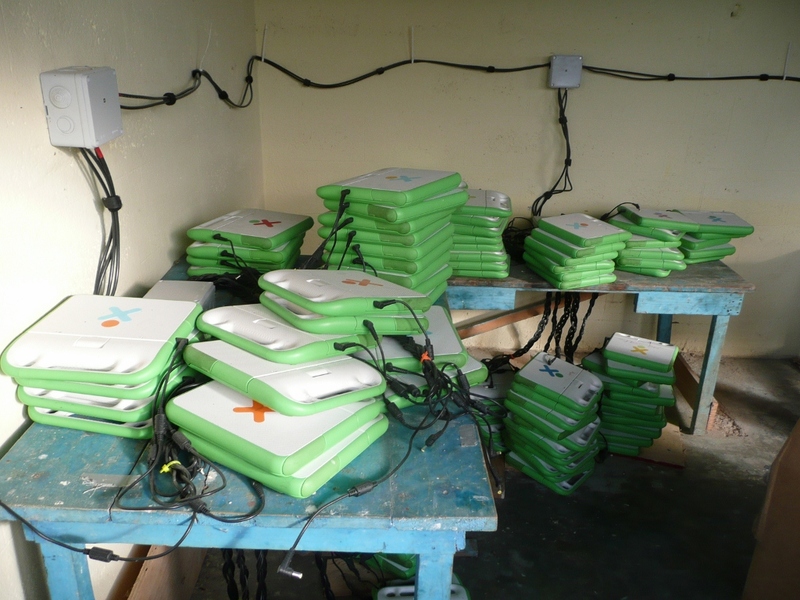 When a primary school in Lascahobas, Haiti, received 400 XO laptops in 2009 from the nation’s Ministry of Education, one important factor was overlooked: how to keep the batteries in the small, rugged, wireless, broadband-ready computers charged. The machines were part of a shipment of 11 000 laptops donated to the country by the nonprofit organization One Laptop Per Child, whose goal is to put entry-level notebooks in the hands of children in developing countries. 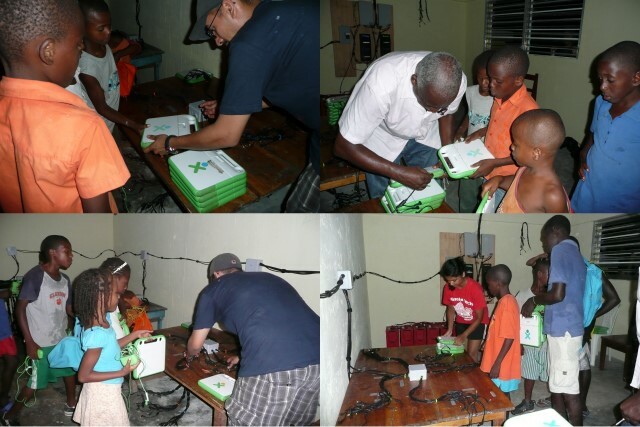 But the organization’s involvement ended when the OLPC XO laptops were delivered. It was left to the users to work out such issues as keeping them running and providing Internet access. The school that received the computers—École Fondamentale d’Application Centre d’Appui Pédagogique (EFACAP)—is on Haiti’s national power grid, but keeping the laptops charged was a challenge in a country where electrical service in 2009 averaged about 10 hours a day. Electricity became even harder to come by after the 2010 earthquake hit Haiti, knocking out power to Lascahobas. Coming to the school’s rescue was IEEE Member Laura Hosman; her students from the Illinois Institute of Technology (IIT), in Chicago; the IEEE Foundation; and other organizations. 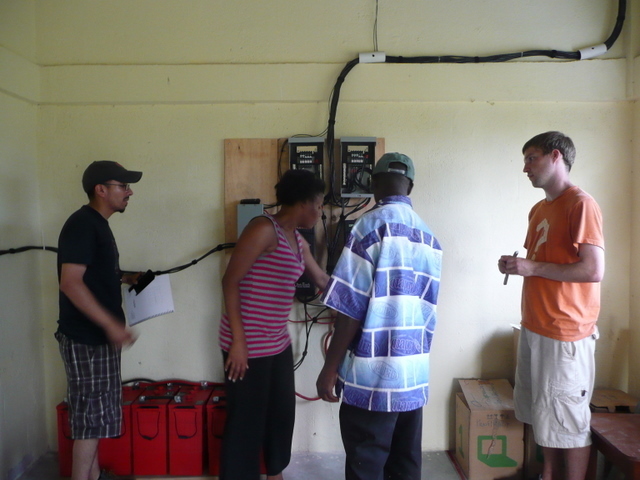 The machines were brought back to life last year when the group built a solar-powered charging station for the school. The station is the largest single-school photovoltaic laptop-charging system in the world, Hosman says. 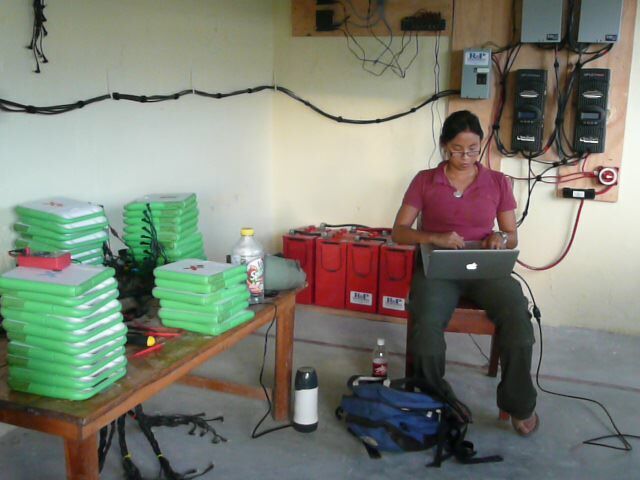 Hosman, an assistant professor of political science, got involved with the project when a former colleague, engineer Bruce Baikie, now president and chief executive officer of Green WiFi—a California nonprofit that provides solar-powered wireless Internet to developing nations—approached her about the problem. The two brainstormed on how to use solar power to charge the laptops. “People who donate laptops tend not to consider the lack of reliable electricity and Internet connections in developing countries,” Hosman says. She pitched an idea to IIT for an interdisciplinary, for-credit class that would study how to introduce technology to struggling countries. 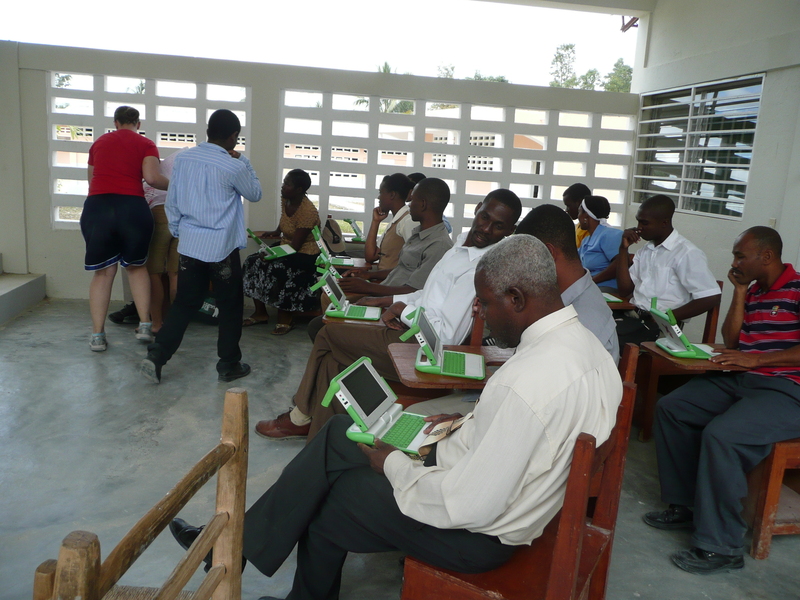 Developing Technology to Transform Education Throughout Haiti was offered for the first time in the fall of 2010. The course is part of IIT’s Interprofessional Projects Program, which teams 5 to 15 students from sophomore to graduate levels from various disciplines, including architecture, engineering, and humanities, to tackle real-world problems. Students in that first class—with technical advice from Baikie—designed and engineered a 2.4-kilowatt DC photovoltaic structure. The system, which connects solar panels through a charge controller to storage batteries, can charge 400 laptops at a time, in about 90 minutes. A US $17 000 grant from the IEEE Foundation helped pay for the materials, tools, and travel for Hosman and 10 students to EFACAP last August to set up 10 photovoltaic panels on the metal roof of one of the school’s buildings. It took them eight days. 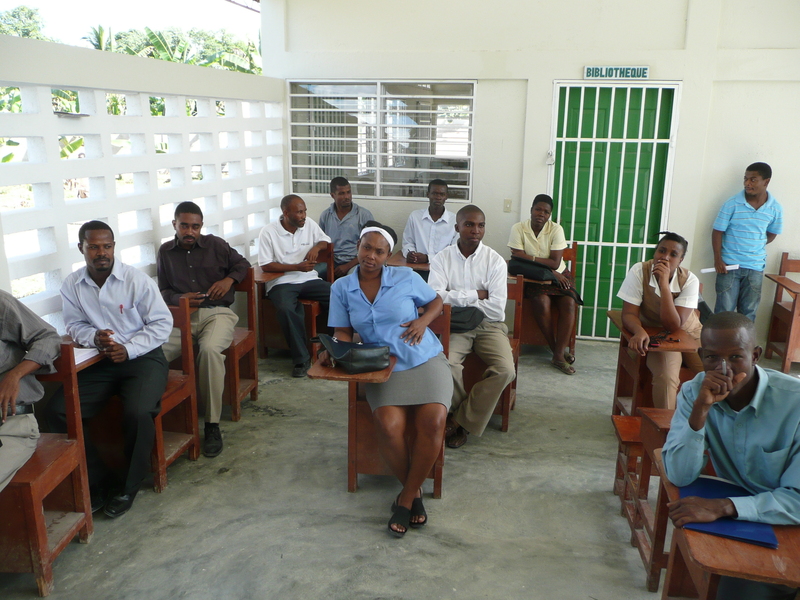 While there, the students trained the school administrators and maintenance staff on how to keep the system running. 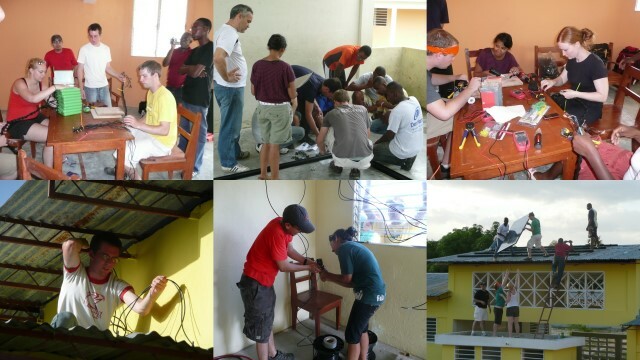 During last fall’s semester, a new class of 10 students helped set up a solar-powered Internet connection to the school from a backbone tower in the Lascahobas town center. They also installed Wi-Fi hotspots and servers in three buildings across EFACAP’s campus. 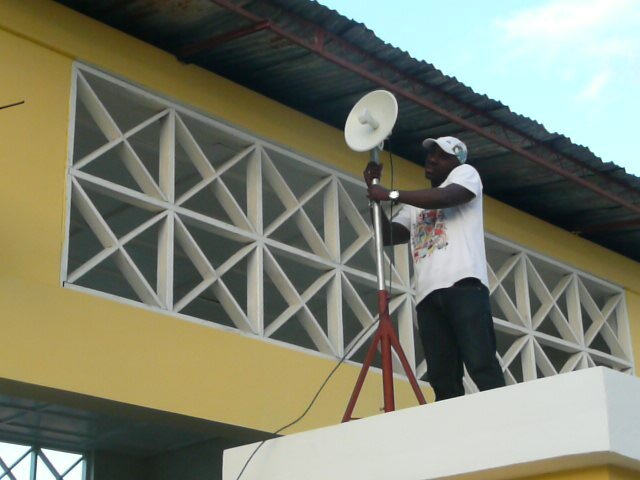 The students worked with another nonprofit, Inveneo, and its Rural Broadband Initiative to connect the school to a high-speed wireless backbone that the organization was building across Haiti. Based in San Francisco, Inveneo’s mission is to bring affordable, reliable, and sustainable broadband access to developing countries. That work was funded with a $10 000 grant from the Internet Society, another nonprofit that promotes the use of the Net, particularly in impoverished areas of the world. 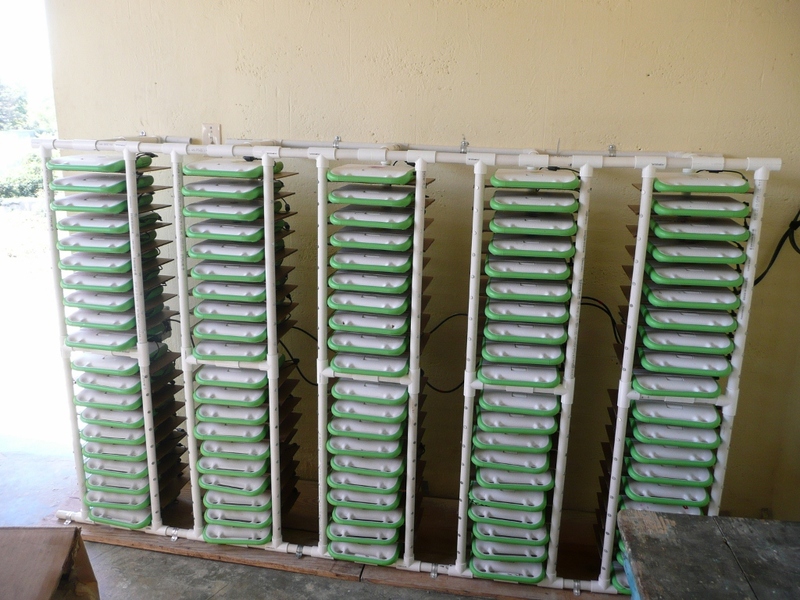 The students also built a racking system for charging the laptops that the school could replicate using locally available materials. The computers are no longer stacked on top of each other in messy piles while being charged. The IIT students also explained the project to the school’s teachers, who were on vacation in August, and taught them to set up e-mail accounts and use the Internet. The students plan to keep in touch with the school and check on the system via the Web. For Hosman, the effort in Haiti showed that students want to get involved with projects that use technology for the benefit of humanity. “There’s a huge interest among today’s students to have some impact and make the world a better place,” she says. If you’d like to get involved in a humanitarian project, visit the Engineering For Change website.